During the past few years, I’ve had the opportunity to taste various chocolate flavored wines…and while I have always enjoyed the experience, I never felt it was extra special. With Chocolais, that has changed. On our 2011 International Food Wine & Travel Writers Association Conference at Sea on Holland America, our members were treated to Chocolais as part of a wine tasting event as well as a bottle in their stateroom to devour or take home an enjoy. After two exceptional tastings of Roche Winery & Vineyards Estate Chardonnay, we cleansed our palate with “Wine Tasting Cookies” to experience the new to the market Chocolais. It was wonderful and we were lucky it was available in time for our taste testing. We have taken part in chocolate and wine pairings, but not like this. As the producer says, “There’s only one way to improve on the sensual experience of rich dark chocolate with a glass of fine red wine – put them in the same bottle.” That is what has been done when you discover the ingredients. Swiss chocolate, thick Dutch cream, and fine Italian wine. It is 14% ABV so qualifies as wine. Please help! I Am trying to find the wine described in this article. We just tasted the Chocolais wine a day found it wonderful. I am in the Los Angeles area and I cannot find the Chocolais wine anywhere… Even on the Web. Do you have a resource? This is a delicious wine and I had an ample supply with a case. Now, when I am ready to re-order it is challenging to find. I did find a store who has it: http://www.shopmerwins.com/chocolais-wine.html. Amazon still has it listed, but shows, not available. 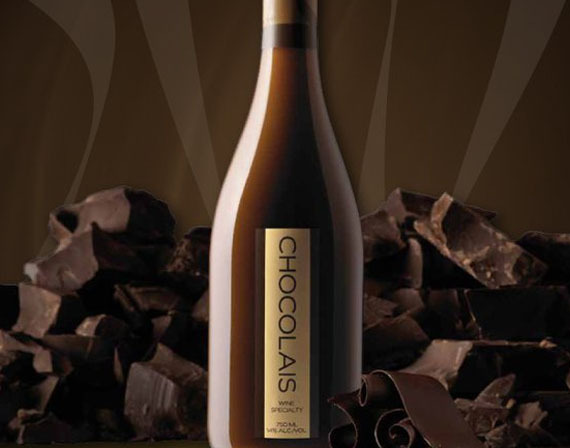 It was also available at http://www.finewinehouse.com/chocolais-chocolate-blended-wine-nv.html but currently out of stock. Mike, I am checking while I am writing this comment and I JUST FOUND IT–YEAH. http://www.holidaywinecellar.com/p-17220-chocolais.aspx. I am going to order some right now.